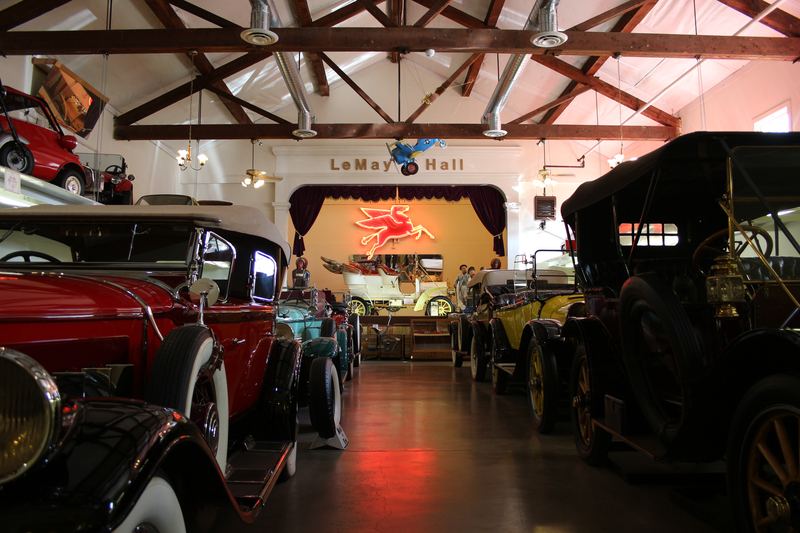 The LeMay Family Museum is the polar opposite of the beautifully presented and carefully curated America’s Car Museum. 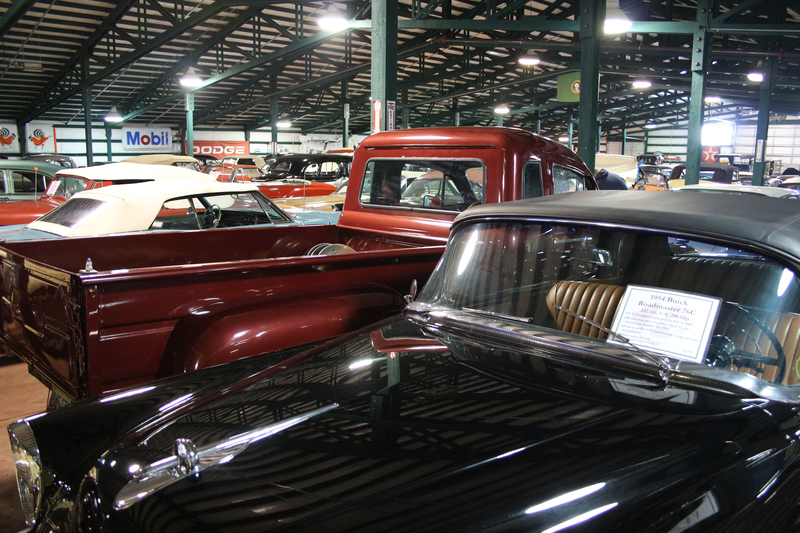 Visiting the Family museum gives you a strong feeling of walking into a collector’s garage and back yard, looking through his gems and castoffs, his favorites he’ll keep forever, and those he’s ready to trade for something else. Harold LeMay was a garbage collector, which tells you what he did, but not what he was – he was, above all, a consummate businessman. He turned a decidedly blue-collar job into an empire worthy of Allen and Gates status. 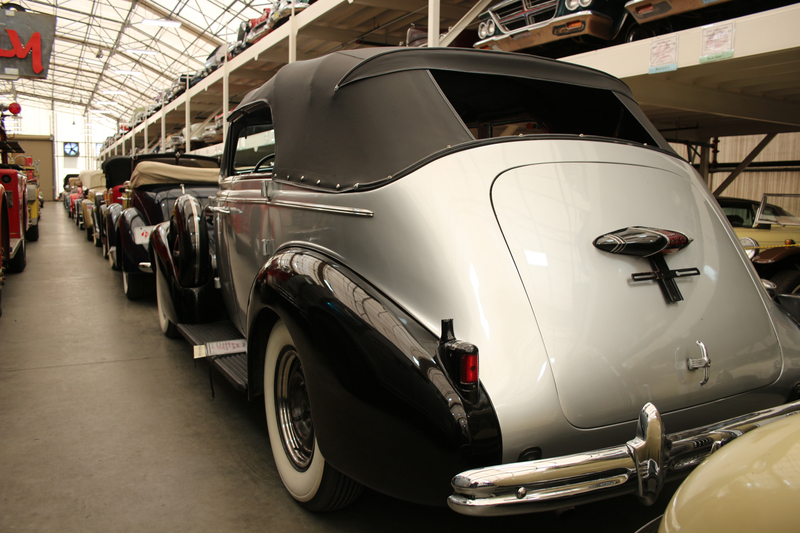 Instead of rolling his hard-earned cash into professional sports teams or charity foundations, LeMay poured his love into vehicles. 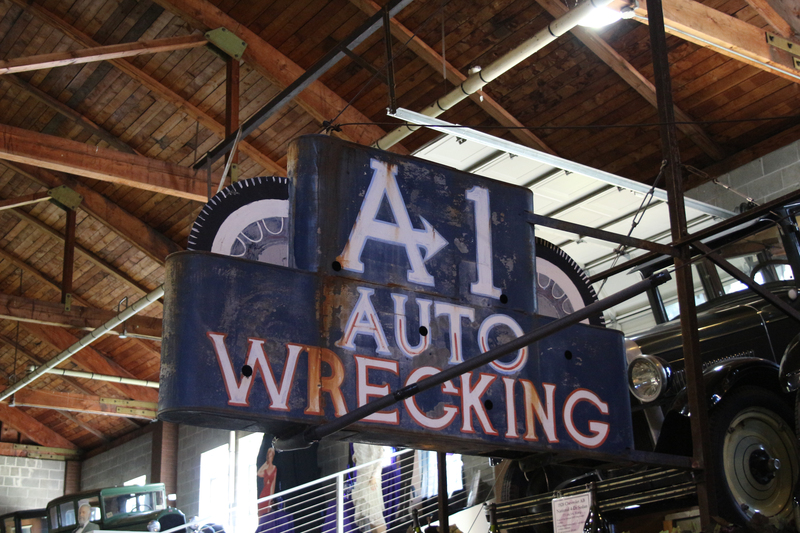 These two museums are the culmination of years of collecting by a tenacious dealer with money, intelligence, time, and energy. Yeah, everyone paints their Charger to look like this. 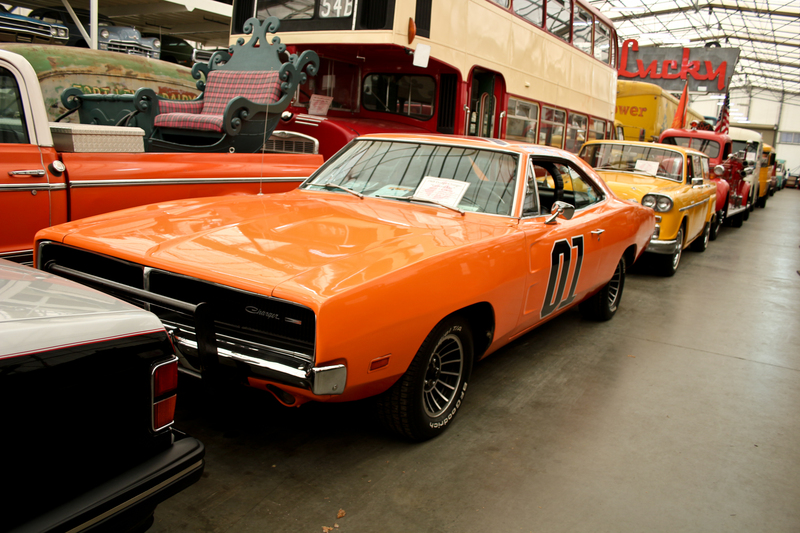 Only, this is one that those Duke boys actually used in the show. One of 17 (I think) that weren’t totaled, and the only one with doors that actually open. Harold passed away in 2000, and his vision is now being carried on by his wife and son along with a cadre of impressively knowledgeable and friendly volunteers. 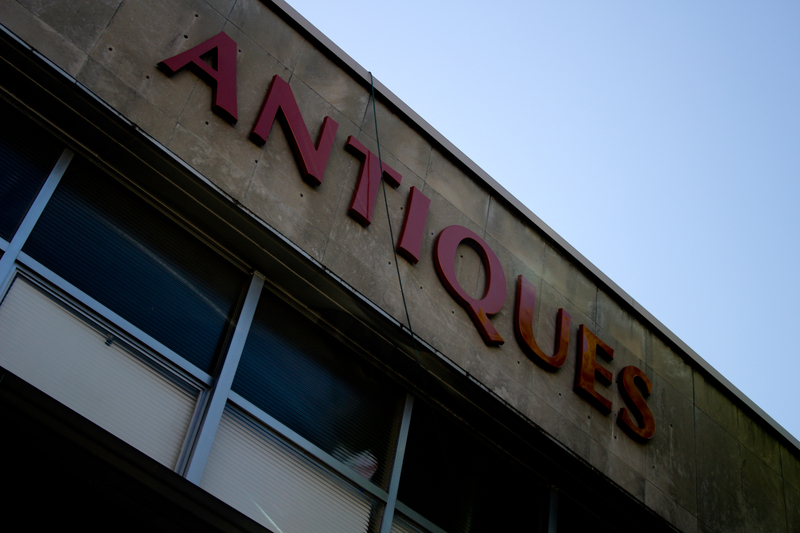 And, after spending the entire day wandering through this collection, what were our favorite finds? 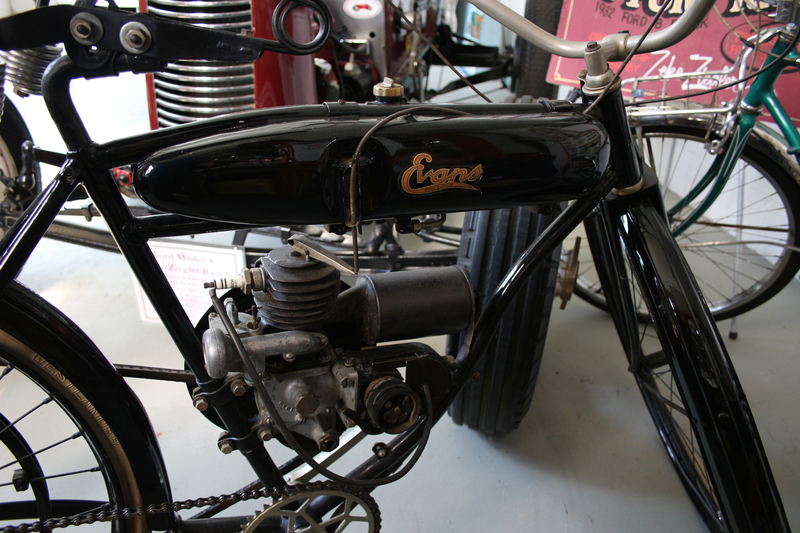 First, an adorable two-seater from the early days of automobiling that had the passenger sitting behind the driver and a width small enough to fit in the bike lane. 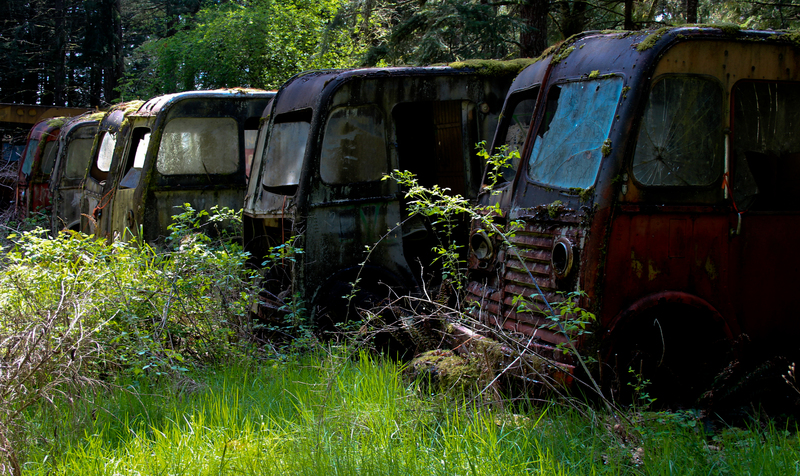 But for Mike the most astonishing find was a batch of 10 very old UPS trucks out in the back lot moldering away into the green grass and berry vines. UPS does not sell their old rigs, they crush them, de-identifying them beforehand. 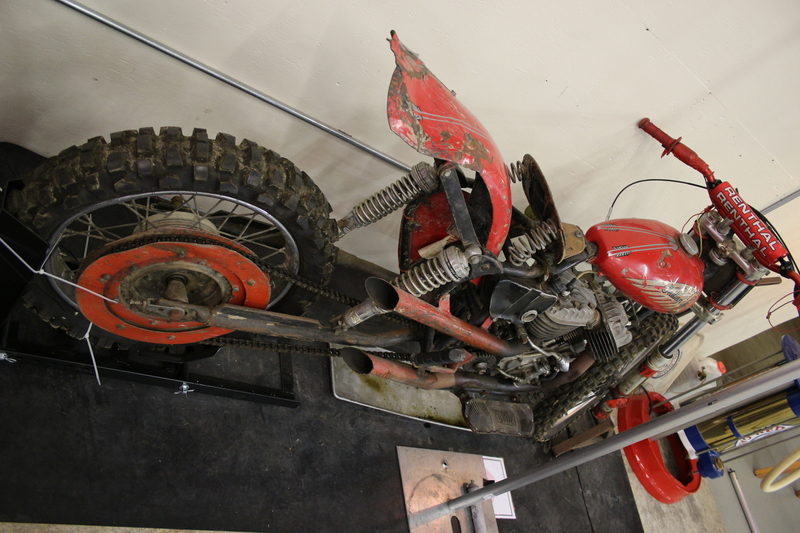 These rigs were not only intact (still had the wooden shelves in the back! ), but many still had their logos affixed! 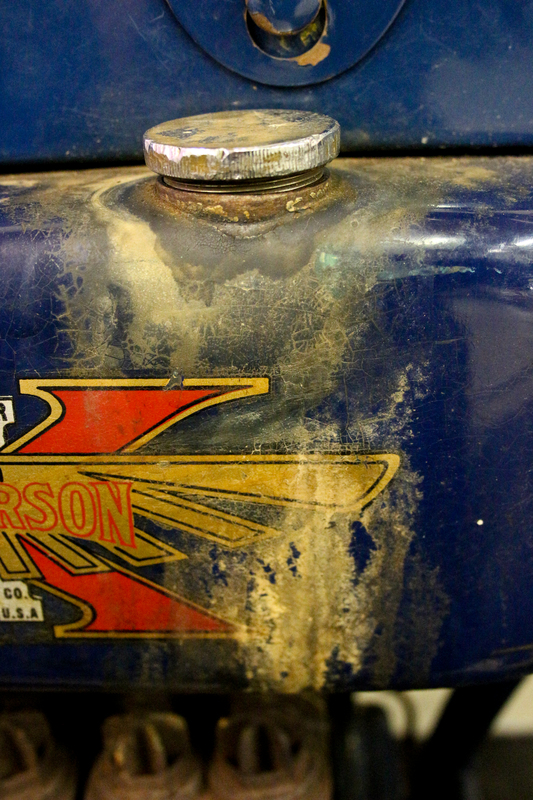 Mike at the wheel of one of the older rigs down at the shop. 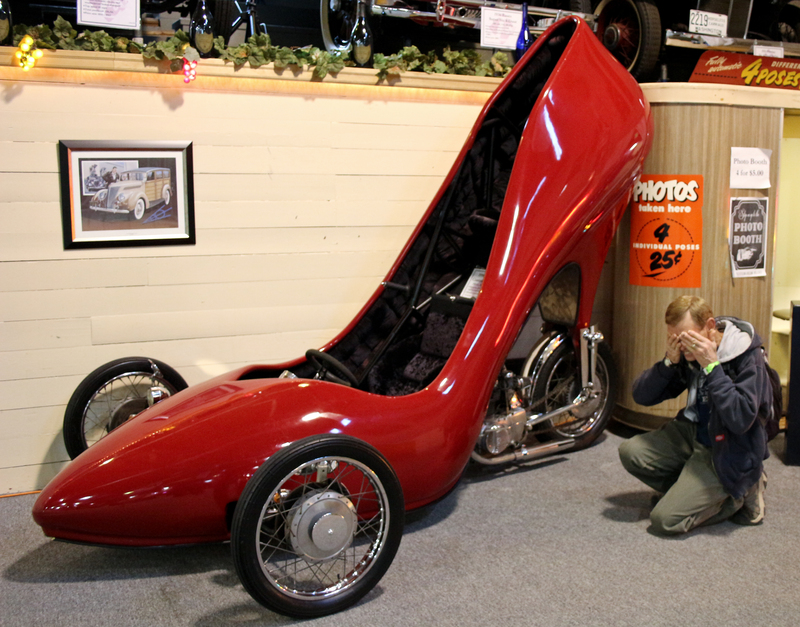 Maybe this is one of those new low emission green vehicles? They must have had smaller packages back then. Just some UPS trucks, outstanding in their field. Add a DIAD board and a steering wheel and you’d be ready to deliver. 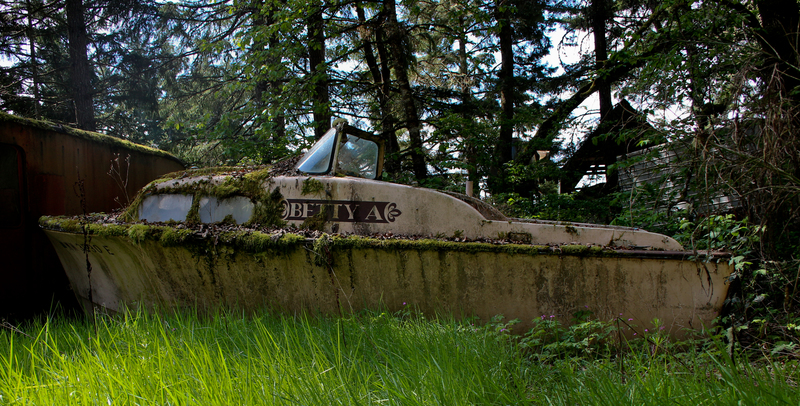 This back forty area housed quite a few artistically decrepit hunks of departed auto-dom. 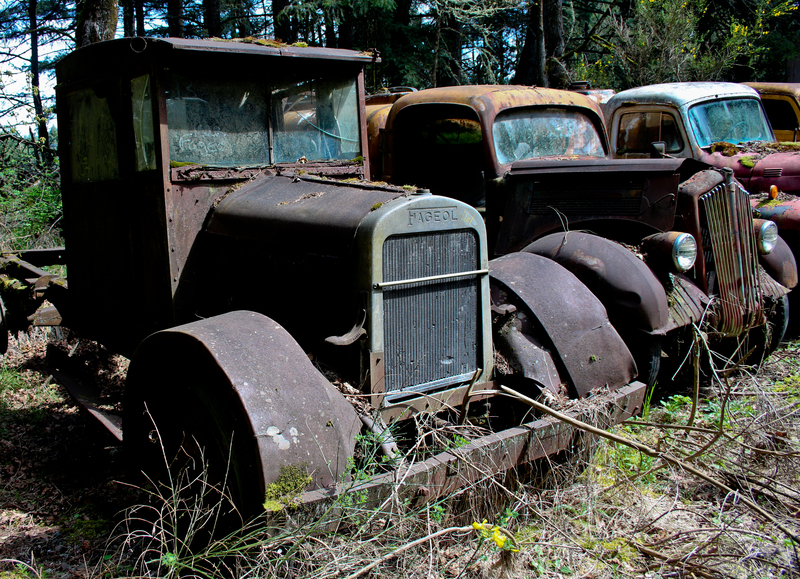 I’m sure folks are rolling their eyes at what’s rusting away here, but in many ways I think it’s beautiful. A boat floating on a sea of green. How long do you think it will take the vines to win this battle? 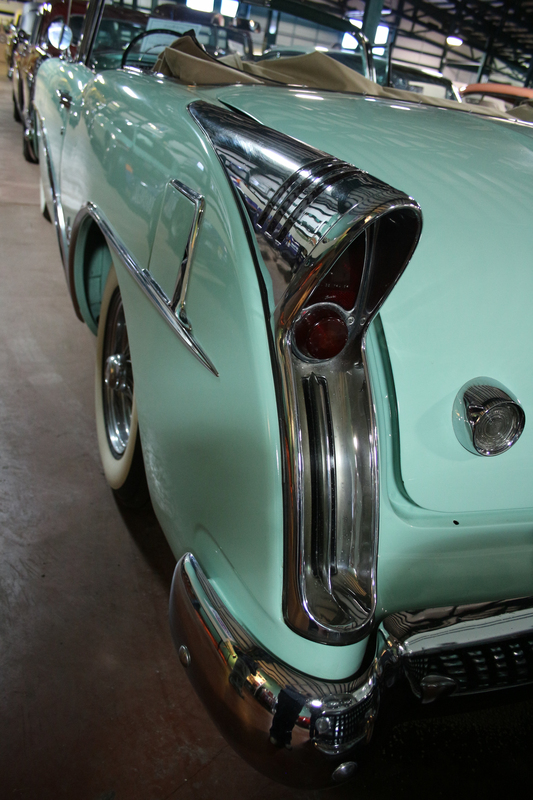 Restored cars are cool, but I think this has its own beauty. 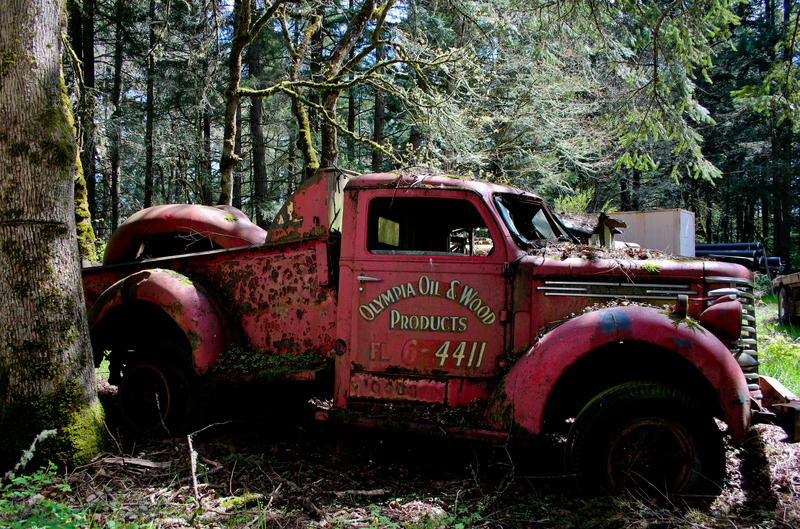 I love old trucks, I cannot lie. 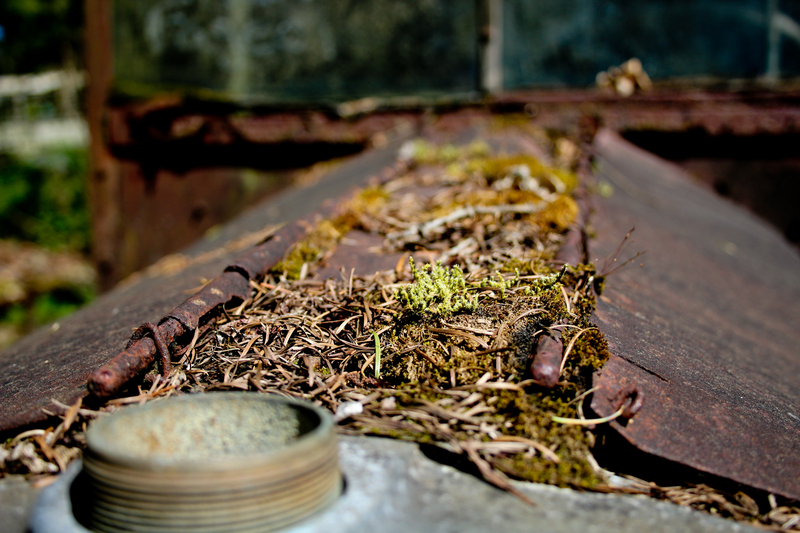 I love the rust and the moss and the way the paint fades in shades. “Restore Me! 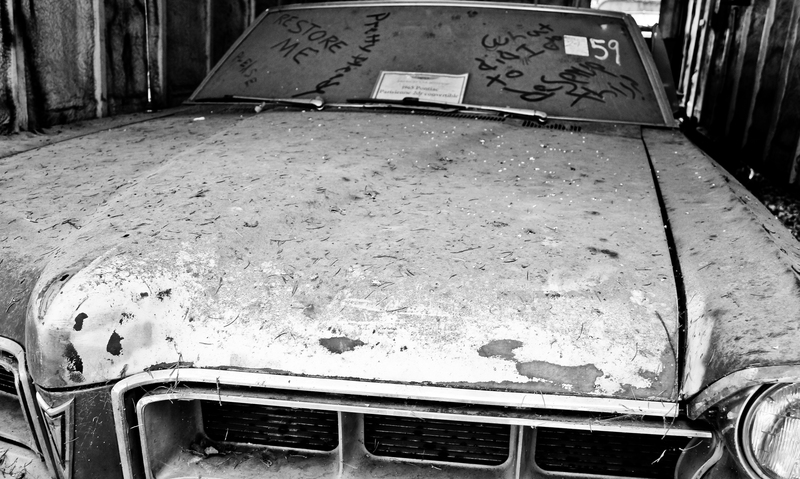 What did I do to deserve this?” the poor Pontiac pleads. I love the chaos of this space. 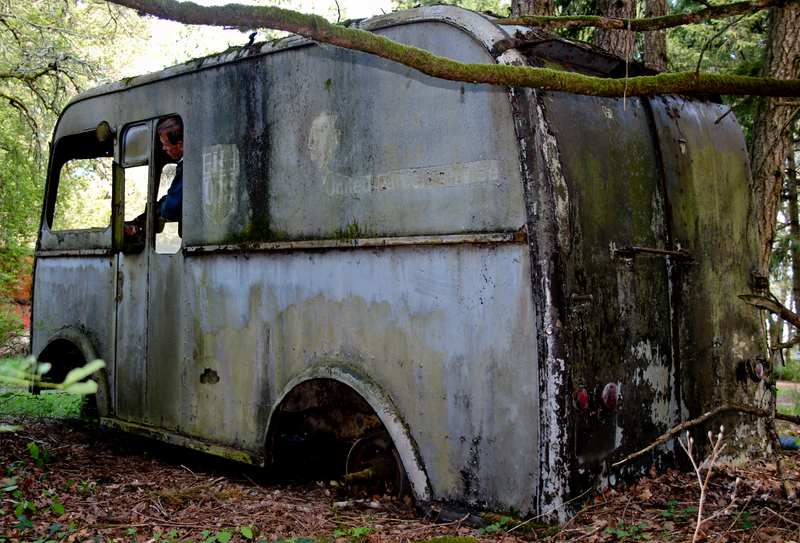 Things end up wherever they were originally pushed or driven to. 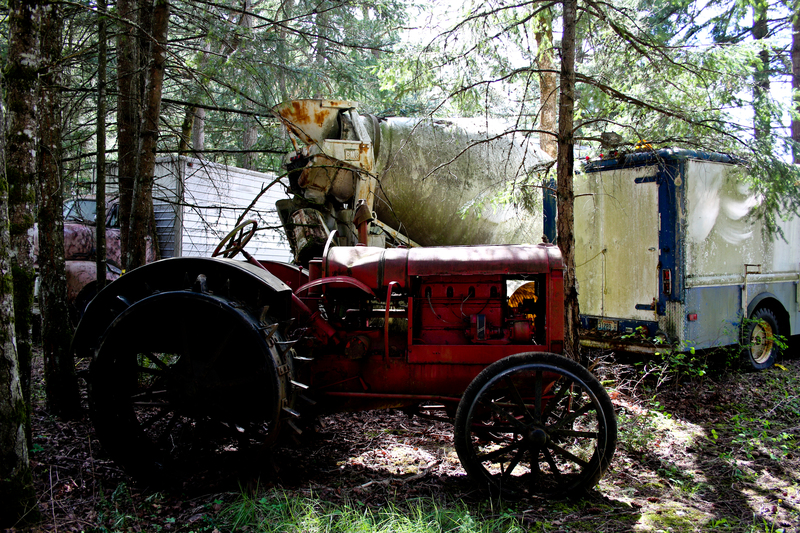 Okay, enough about the old junk pile out back, you’re probably wondering why this place is even considered a museum. Well, to be honest, we took a little detour that’s not on the regular museum map, so most folks visiting probably will never see this area. We weren’t being scofflaws, we had the blessings of Battery Bob. Anyway, back in the civilized world, we’ve got 3 basic sections to this museum, the main building which houses the entrance and a bunch of smaller rooms. 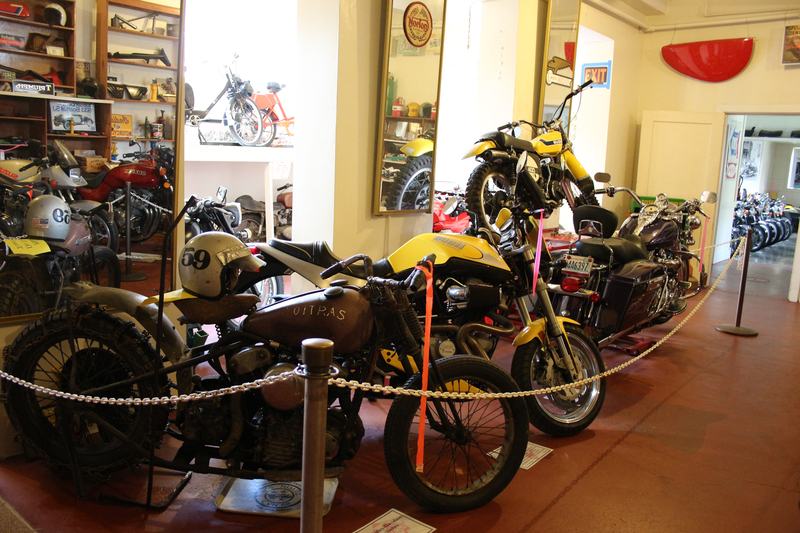 This is one of the original buildings from the Military School, and the space works nicely with few modifications to showcase a variety of cars and bikes, plus a bunch of fun little trinkets. The first room you’ll enter is the old school auditorium. Don’t forget to look up, there’s some really fun little cars above on both sides. 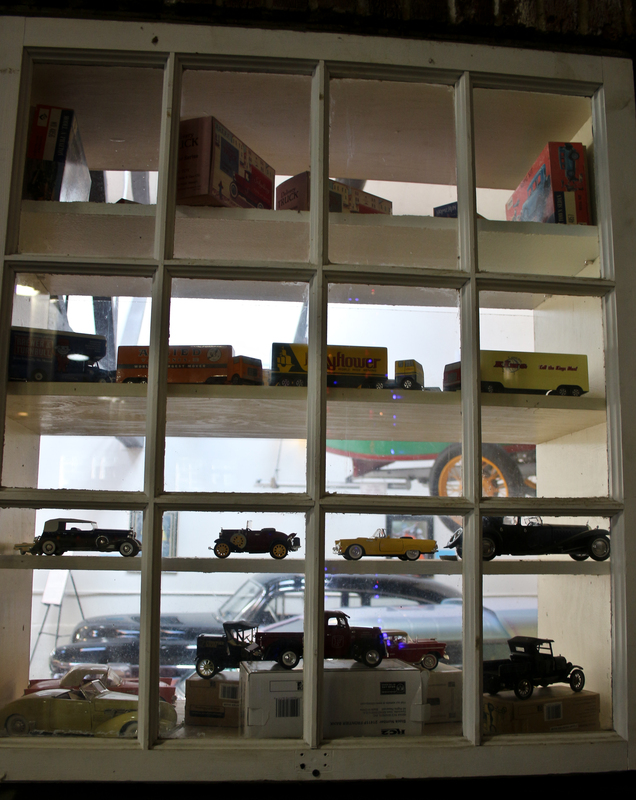 Original windows between the auditorium and the gym make perfect spots to showcase small collectibles. 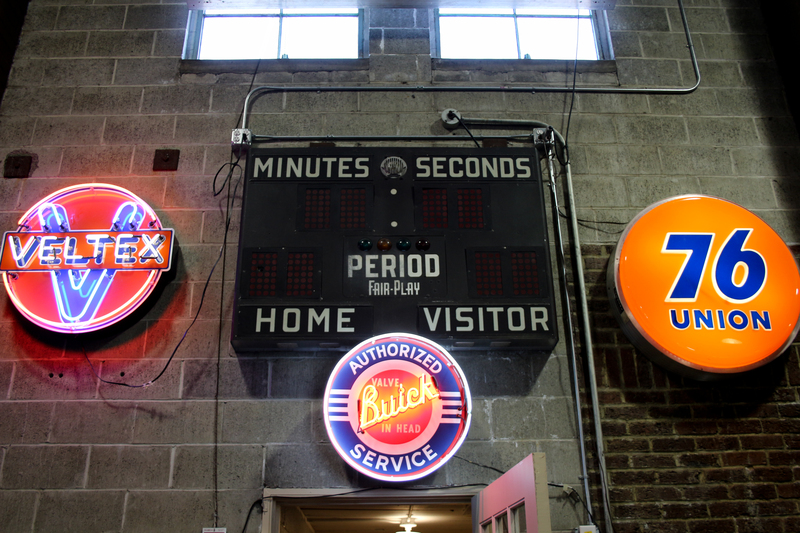 The original scoreboard shares space with old neon. Look up here too, vehicles and signage occupy the old bleachers. 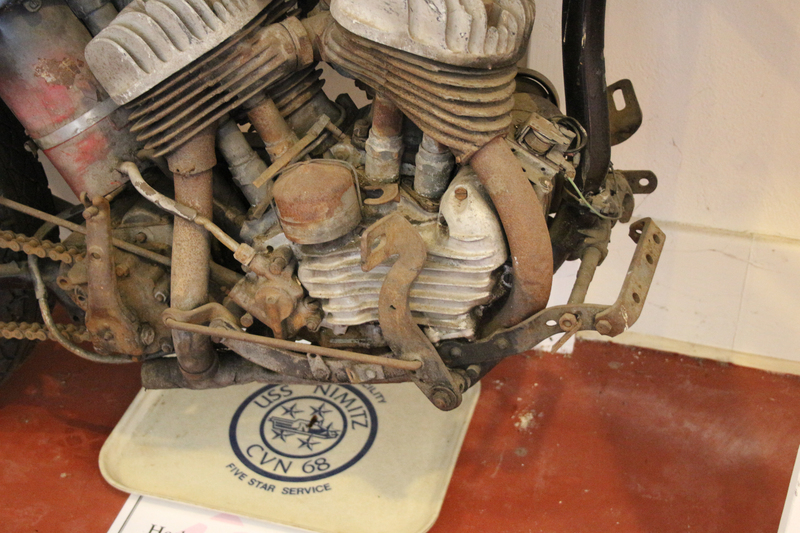 Displays are a bit chaotic, but it’s great to be able to get up close with some of these unusual bikes. 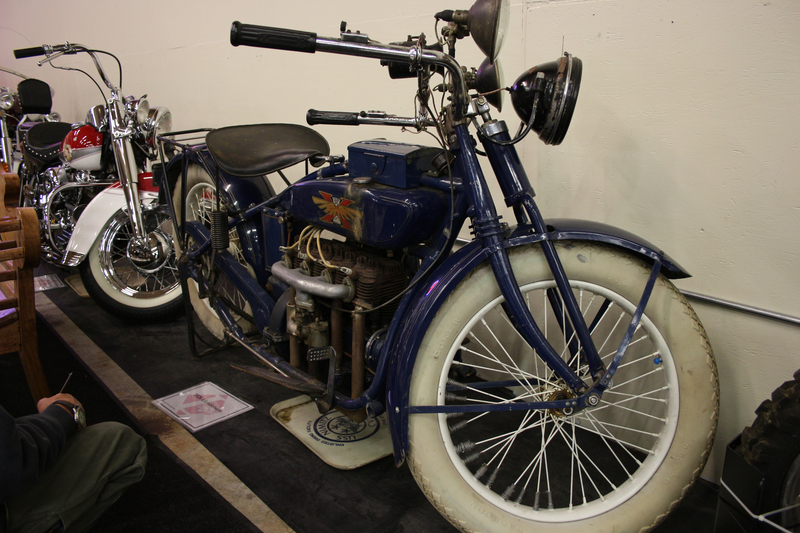 A Henderson 4 that looks un-restored. 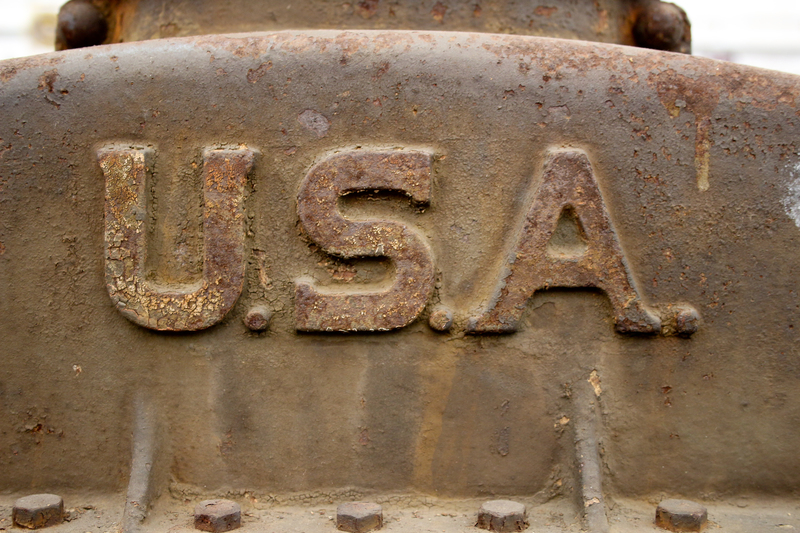 Detail of the Henderson tank. 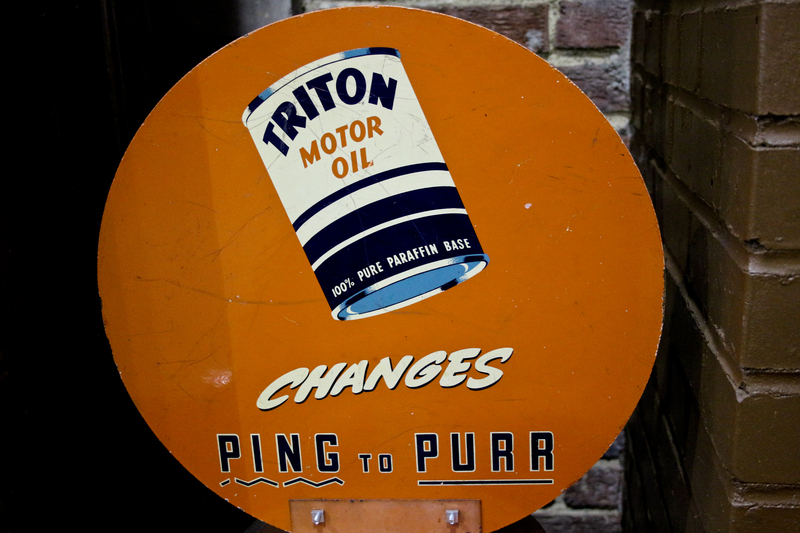 Engine Oil can change the octane of your fuel? Hmmmm. 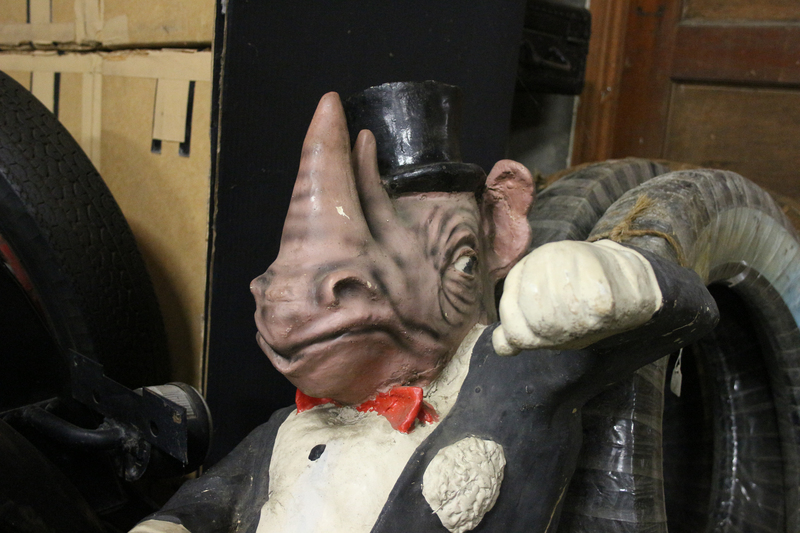 I have no idea what he’s doing here and why he’s guarding some vintage NOS tires, but he’s pretty dapper for a rhino. Back outside, we’re headed over to the White building, then the Green building. This part of the tour requires a guide. Ours was Steve, a retired engine engineer from Ford. Smart, knowledgeable, and friendly, he was an excellent companion and was able to answer every question we put to him. 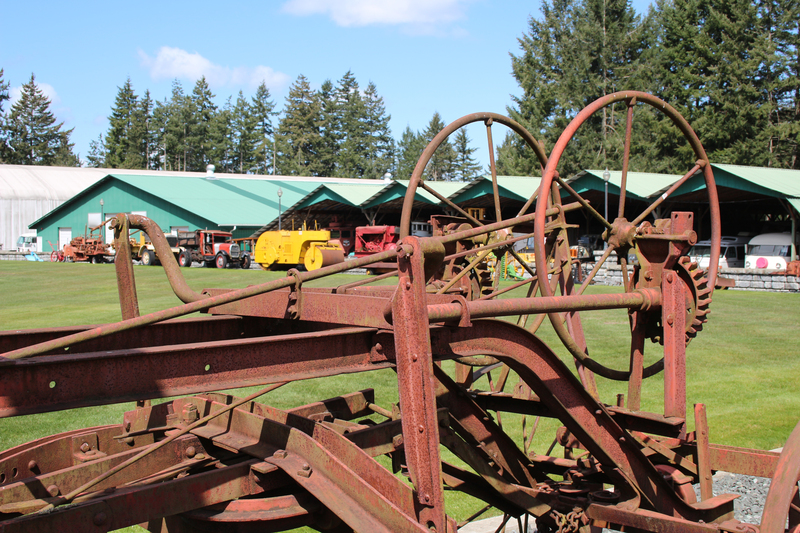 The White building is currently housing many of the pre WWII vehicles that usually reside in the school gym, along with its regular collection of everything from military rigs to fire trucks. 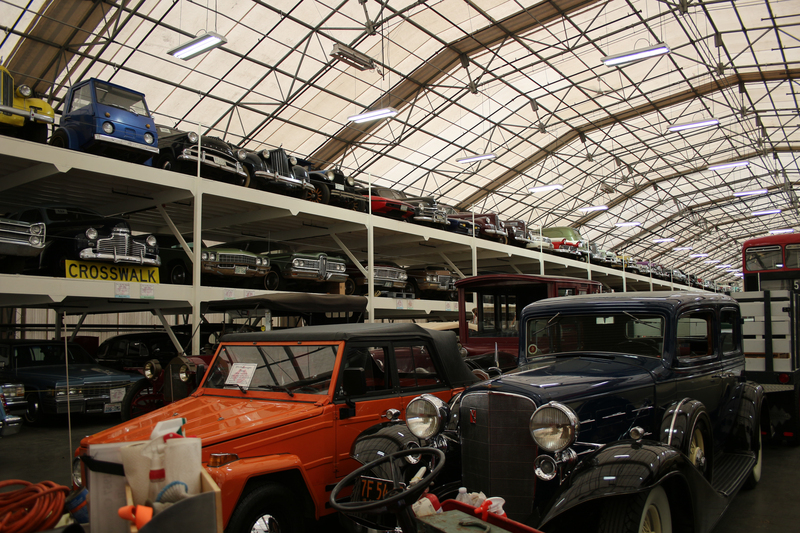 It’s also home to an impressive 3-level rack of cars that we didn’t even have time to peruse. 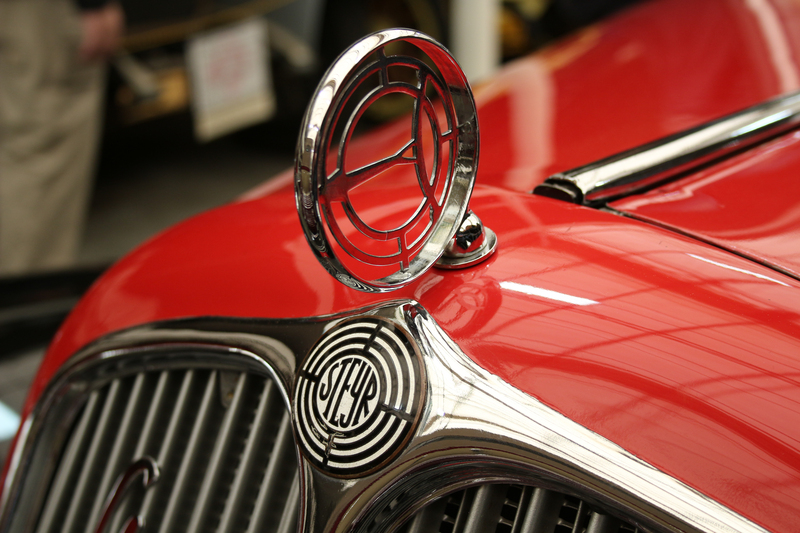 Although there are many restored cars here, the best in show for us were those that were in original condition – some with extremely low miles. 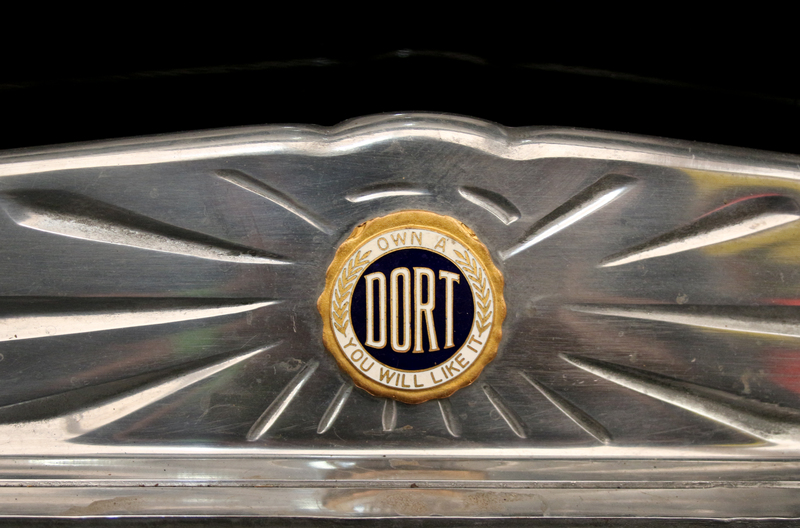 “Own a Dort, You Will Like It.” Yeah, you won’t love it, but it’s okay enough. And they wonder why they went out of business. 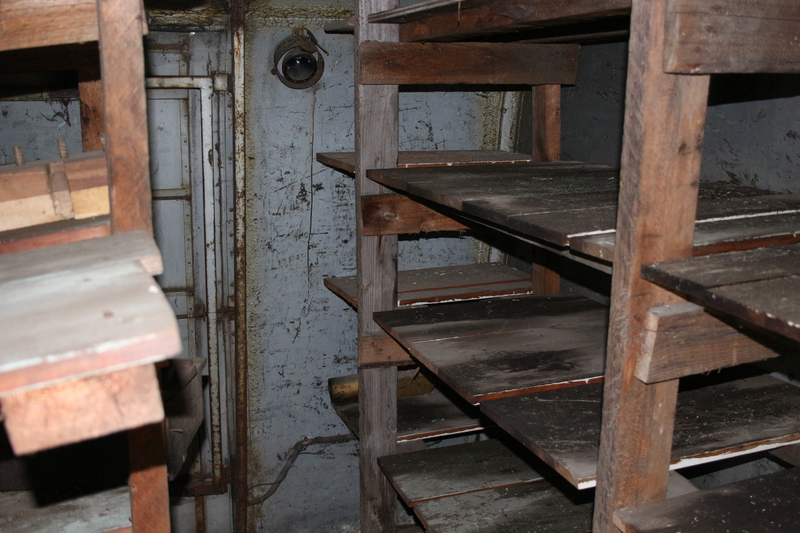 You’ll spend an hour in here with your tour guide and not even scratch the surface. 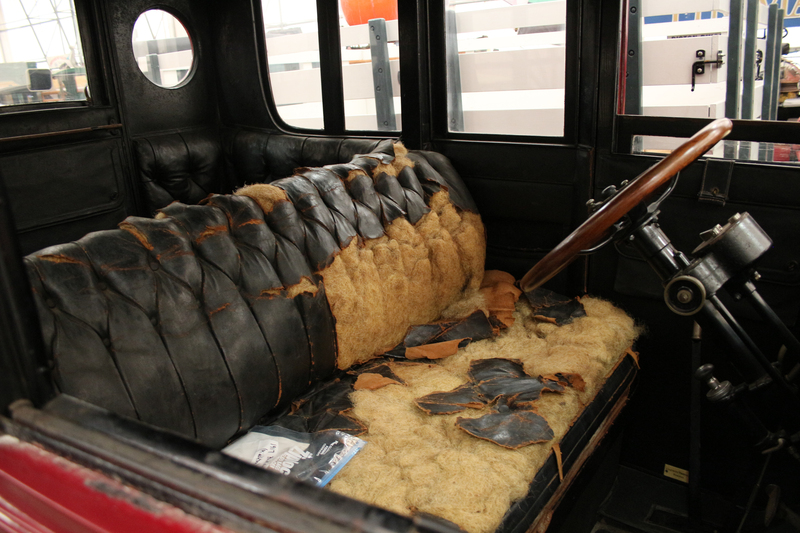 A WWII-era German Steyr – what all the best Nazi party big-wigs rode around in. 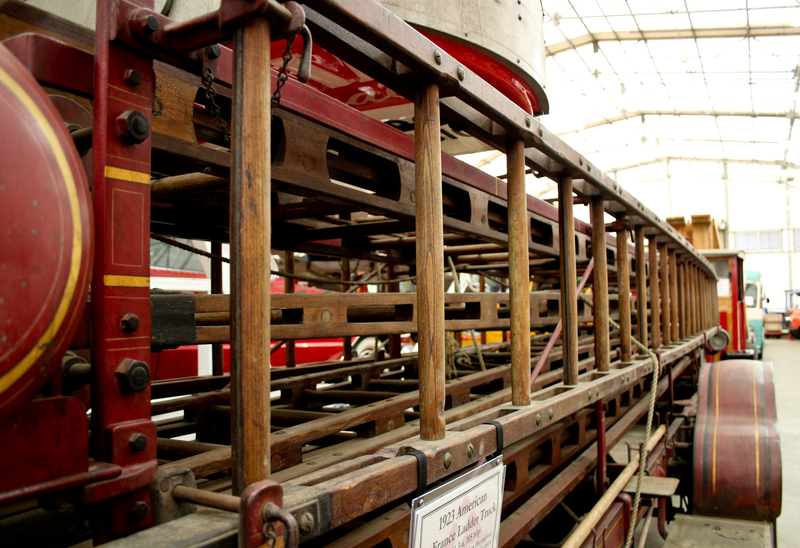 Old ladder truck with original ladders anyone? They’ve got ’em. 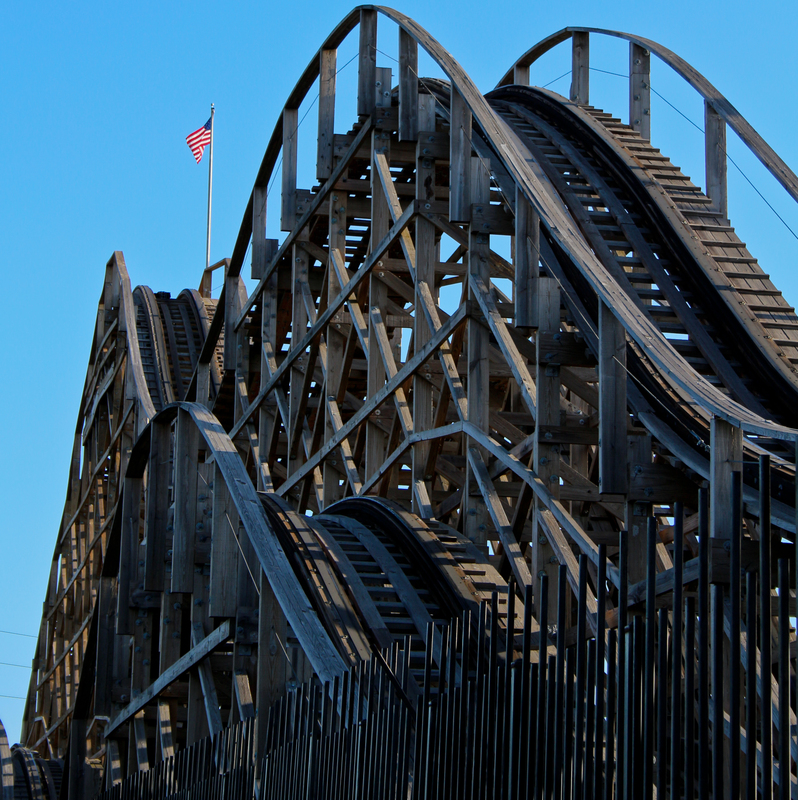 A little heavy metal from the good ‘ol US of A. Next up is the Green building, housing mainly post WWII-era machines. 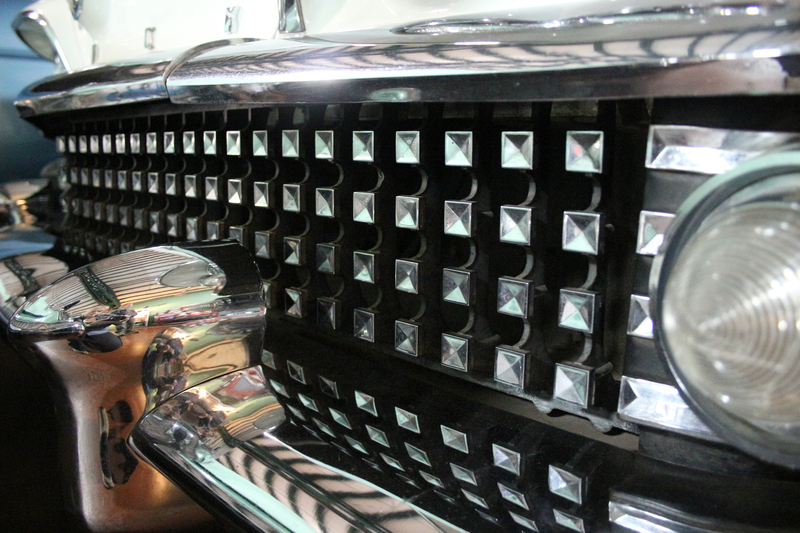 There’s cubic yards of chrome here. 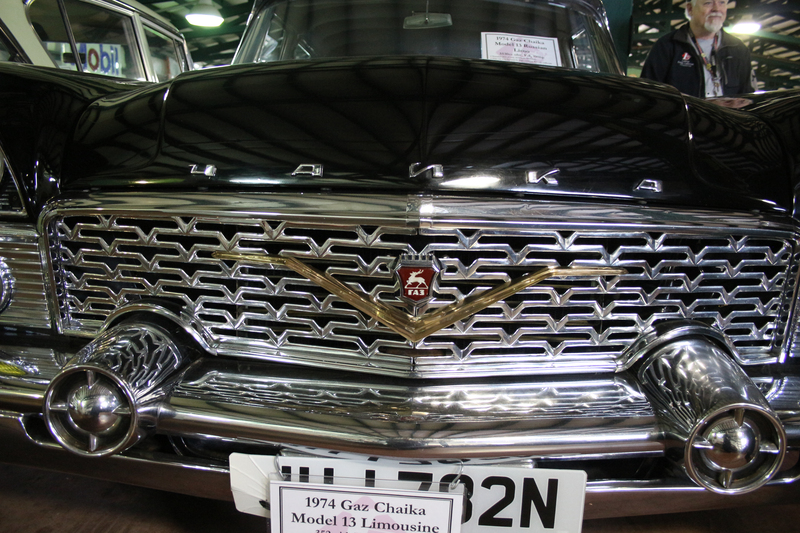 Russian chrome in the form of a Cold-War-Era Chaika Limo. I can’t even imagine the convoluted route this thing took to get to the US. 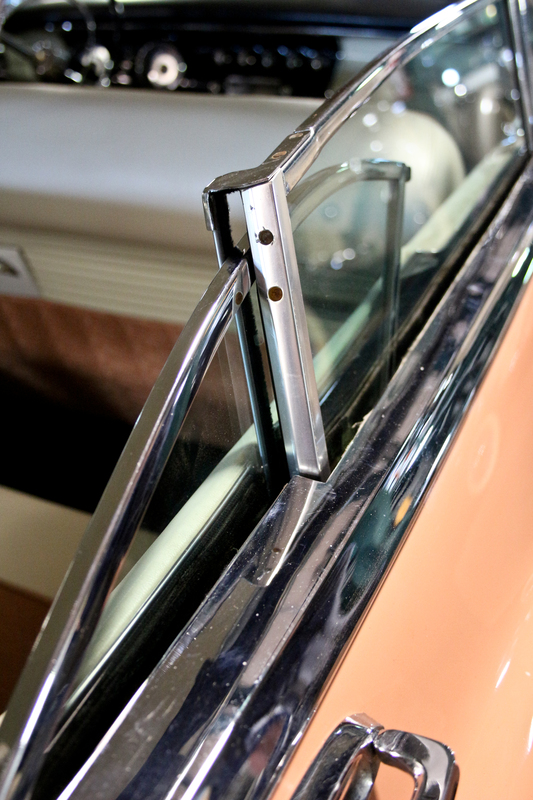 Details like this are why vintage cars are so fun and cool. 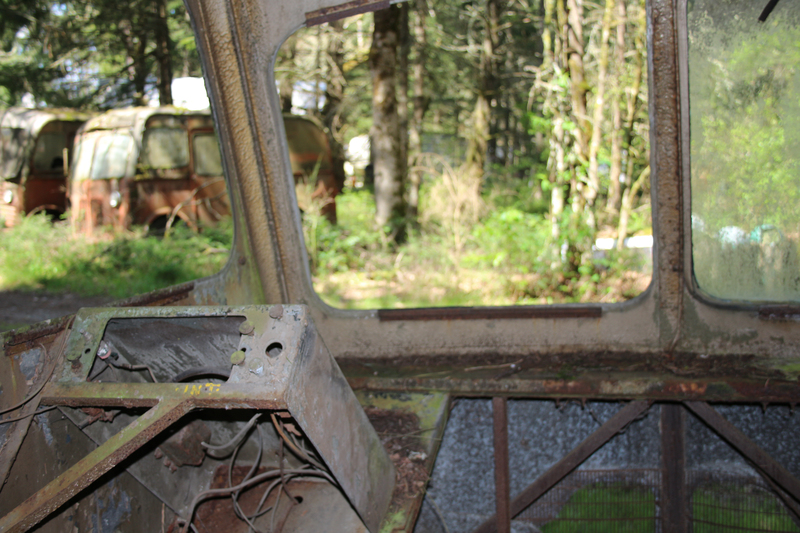 The back wing window rotates forward and through the frame of the front window to completely disappear when rolled all the way down. 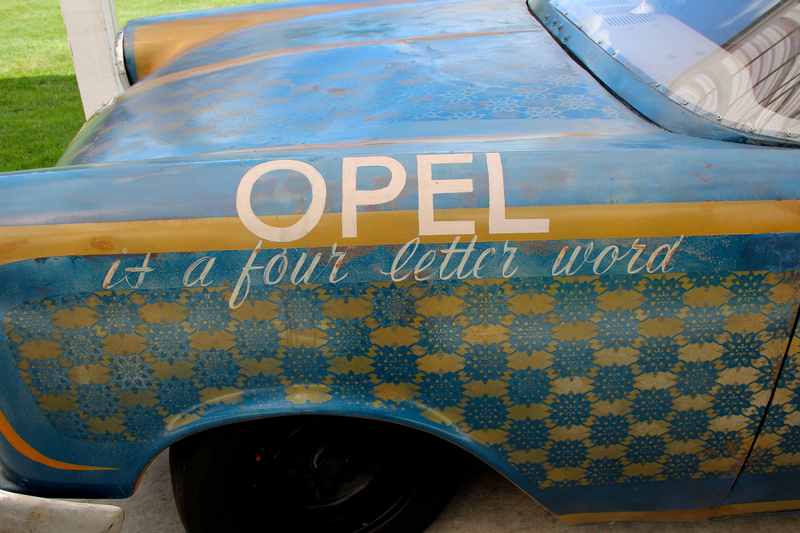 Opel, it’s a 4-letter word. Our family owned an Opel once. It’s probably the main reason I avoided learning to drive until I was 17. Once the formal tour was over, Steve was nice enough to let us take a look at the motorcycle building which is normally not a part of the tour. Makes you wonder what else is hiding on this campus, doesn’t it? Mike was stationed on the Nimitz for a year and found these drip pans a bit ironic. 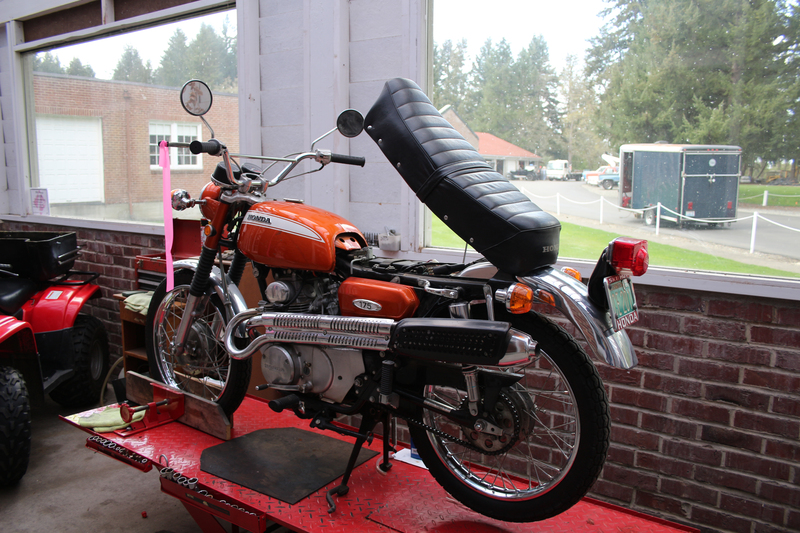 This back porch area looks like a wonderful place to work on bikes. Lots of natural light, and a quiet view of the rest of the museum grounds. 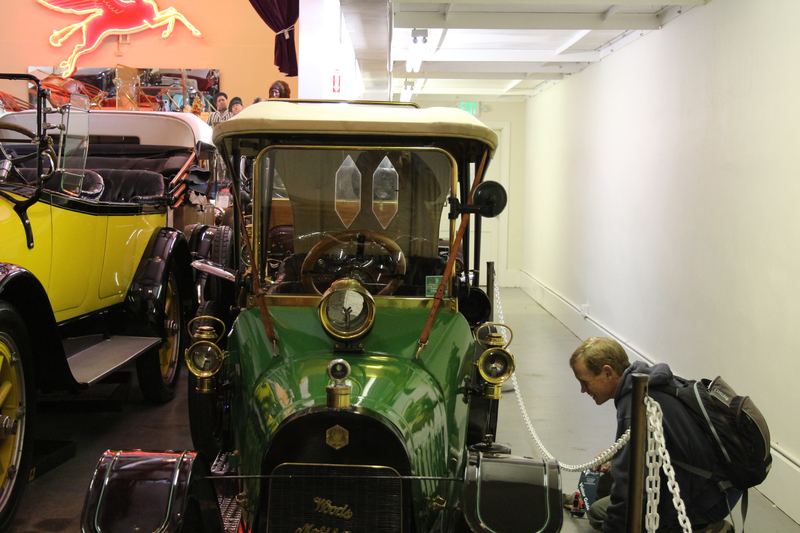 So, if you’re in Tacoma and only have time for one car museum, which one would I recommend? 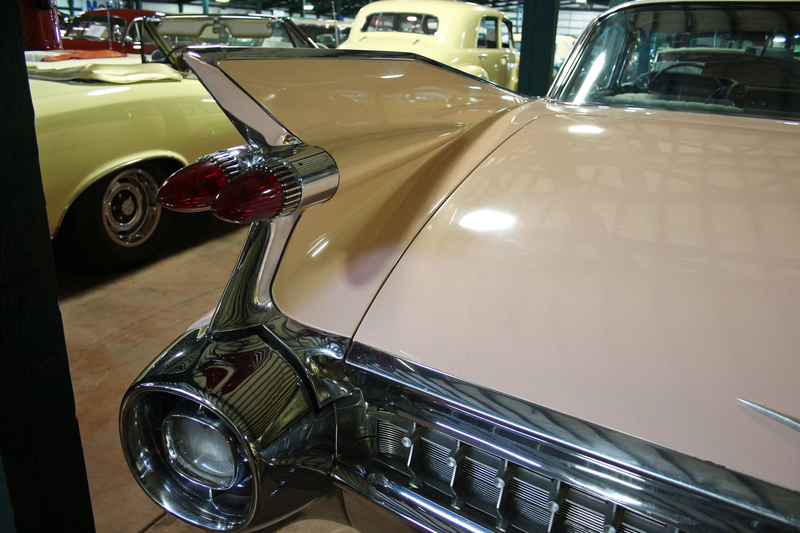 For rarity and beauty beautifully displayed, go to America’s Car Museum. For motorheads who like to get up close and personal with a massive variety of vehicles, head out to the Family compound and be amazed. Or take two days and see them both!